Vabel acquired this site in Hampstead as principal developer, and has partnered with Butterfly Capital to redevelop the site. The scheme proposes replacing the existing 1970s bungalow with an uncompromisingly contemporary rendition of a brick house that will have a quiet and private presence within the garden landsacpe. The five bedroom house will have a gated front driveway, large open-plan living areas, gym, games/media room, and staff quarters. 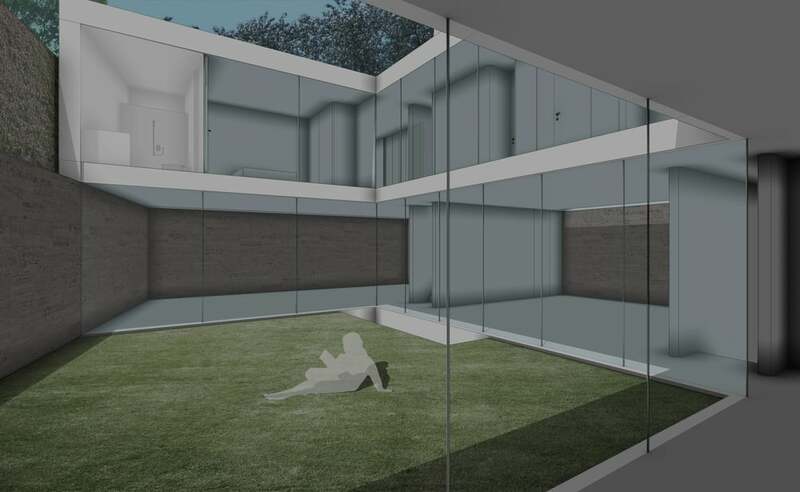 The design will orientate towards the exterior rear and courtyard gardens, bringing the outside in. The house is within walking distance of Belsize Village, and Hampstead and Belsize Park underground stations.